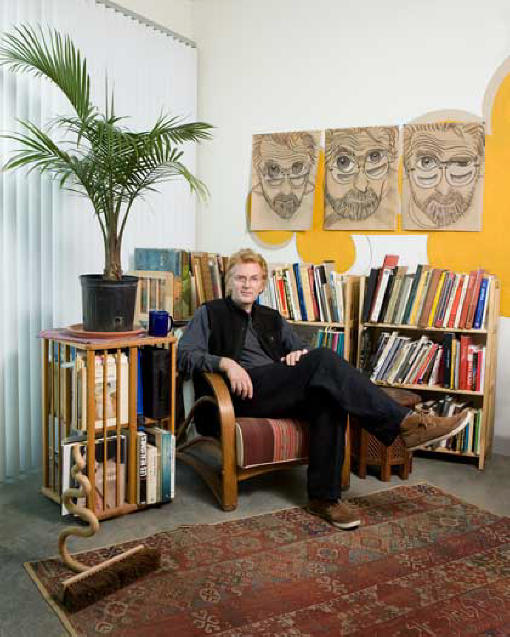 Colin Fraser Gray’s eye on world events, ear for social nuance, and wry sense of humor have shaped his artistic path. His drawings, sculpture and public art are quirky, sometimes controversial, and always authentic, provoking strong reactions. It is a catalyst for critical thought and debate and creates a prism through which we view our world’s mysteries. In his words: “ I get fully absorbed in a sea of connections; things seen, things said, memories, clues from life, blackness, light, line, desire.” He is widely exhibited in solo and group shows, both in the US and UK. He has received grants from Arts Council of Great Britain, University of California, and Pollock/Krasner, to name a few, and has been awarded several high profile public art commissions. Colin Fraser Gray’s in-depth oral history and documentation took place in 2011, Co-sponsored by Dr. Norma Beck and John Brant Wealth Advisors, John & Cherie Brant . The FOTM Archive contains extensive information about this artist.